Designed by Ransom Culler, the Hangover sofa features cantilevered arms and luxurious poly blend down seats. Select one of our in-house curated fabrics or leathers or provide COM. 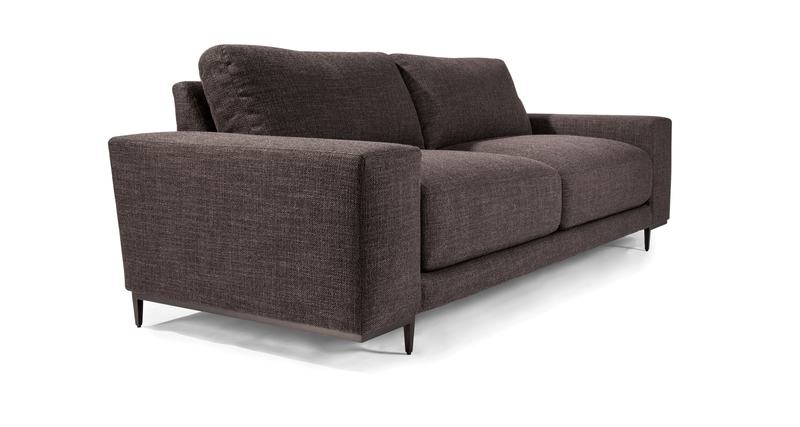 Base and legs are available in dark bronze (shown) or polished stainless steel. Hangover is also one of our modular seating systems. More coordinating items for the Hangover can be found in our sectional sofa galleries. 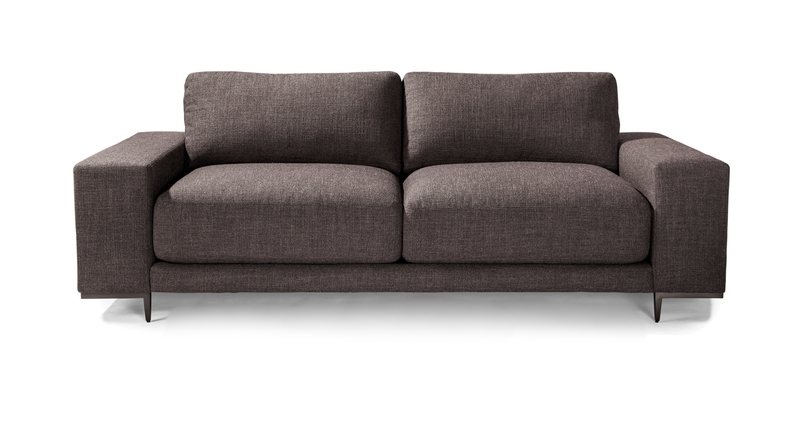 Height to top of back cushions is 34 inches. Dark bronze finish shown. Also available in polished stainless steel.